Children are curious by nature. Even if you tell them no and explain to them that sticking their hands into the electrical outlet is dangerous, they will still be tempted to do it, especially when you’re not looking. This is why it’s important to make your home child-friendly by childproofing power outlets. Here’s how. Make your power outlets safe for kids by using safety plugs to fill them in. It is very easy for adults to put in or pull out these safety plugs, but for kids, this task will prove to be a challenge. They are cheap, easy to install, and you can paint them over so your kids won’t easily notice them. Another way to childproof your home is to install sliding covers onto your electrical outlets. When the power outlets are not in use, you can simply slide the covers over them so they won’t be a safety hazard to the little ones. Also, sliding covers make things more convenient for you since you don’t have to worry about re-plugging the outlets after use. If you have power outlets that you don’t use, consider replacing the outlet plate with a solid faceplate. This way, your kids won’t be tempted to stick their fingers or other objects into the outlets. If you need to use the outlets again, you can easily remove the faceplate and put back the outlet plate. As the saying goes, “Out of sight, out of mind.” One of the most effective ways of childproofing electrical outlets is to simply keep them hidden. 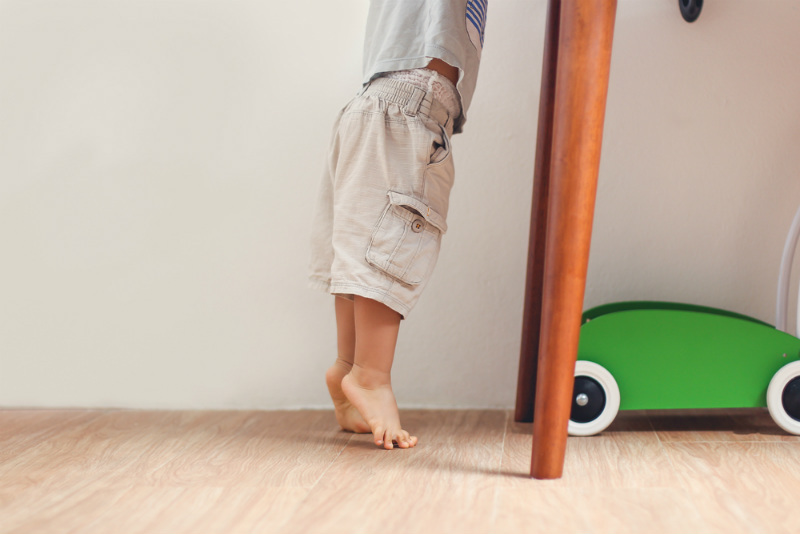 Use your furniture and home decor to block power outlets to make them inaccessible to those little wandering hands. Not only will concealing your power outlets give your house a more modern, “clean” look, it will also help ensure the safety of your children. If you need a reliable electrician in Nowra to inspect your home for potential hazards, Walker’s Electrical Solutions can help. Our residential services include everything from a pre-purchase check to switchboard upgrades. Contact Us today.